Paraná and Cruzeiro meet at Estádio Durival de Brito and Silva, in a match for the 12th round of the Serie A. There is no recent record of official head‑to‑heads between these two teams. The last head‑to‑head was played on 30‑08‑2007 and ended with the final score: Paraná (2‑2) Cruzeiro. In this match the home advantage may play an important role, as both teams present significant differences between home and away performances. After 2 wins, 3 draws and 6 losses, the home team is in the 19th position, havinf won 9 points so far. In the last match, they have lost in an away match against Flamengo by (2‑0), after in the previous match they have won (1‑0) at home, against Bahia. This is a team that is often stronger at home, with the help of its supporters, so they usually make good use of the home advantage, since in the last 30 matches they register 2 wins, 5 draws and 8 losses in away matches; against 7 wins, 5 draws and 3 losses at their stadium. For the league, Paraná won 8 points out of 18 possible points, after 2 wins, 2 draws and 2 losses in the last 6 home matches. They haven’t lost any of the last 4 home matches for this competition. Defensive consistency hasn’t been their best feature, as they have conceded goals in 7 of the last 10 matches for this competition. This is a team that has had a hard time trying to score first. They have opened up the score in only 2 of the last 11 matches for the Serie A, and have never reached half‑time in front. In 11 matches for this competition, they have conceded the first goal 7 times and have never been able to turn the score around. there is 1 period that stands out in the last 20 home matches for all competitions: they have suffered 6 of their 17 goals between minutes (76'‑90'). 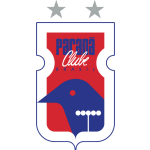 Parana is a team that returned to dispute Serie A of the Brazilian Championship after ten years disputing Series B, which has already won twice in its history, in 1992 and 2000. In the Paranaense Championship of this year, the team did not neither reach the finals, being eliminated in the semifinals of the second round by Londrina. In Serie A of the Brazilian Championship of 2018, Paraná still tries to leave the relegation zone or at least not allow the first teams outside the relegation zone to have such a great score difference. In the last five games that the team played at home, all for Serie A of the Brazilian Championship, in all of them were scored less than 3.5 goals by the teams. We believe that in this match the standard will be maintained, since Paraná does not have a very strong attack and will face a team with a good defense. Confirmed Lineup: Thiago Rodrigues, Neris, Junior, Rayan, J. González, Leandro Vilela, Caio Henrique, Thiago Santos, Silvinho, Igor, Carlos. The away team is currently in the 8th position of the league, with 17 points won, after 5 wins, 2 draws and 4 losses. In the penultimate match, they tied in a home match against Vasco da Gama, by (1‑1). In the last match, they lost in an away match against Chapecoense, by (2‑0). This is a team that usually makes good use of the home advantage, stronger with the help of its supporters, since in the last 30 matches they register 7 wins, 3 draws and 5 losses in away matches, with 16 goals scored and 13 conceded; against 12 wins, 2 draws and 1 loss at their stadium, with 28 goals scored and 4 conceded. In the last 6 away league matches Cruzeiro has a record of 2 wins, 1 draw and 3 losses, so they have won 7 points out of 18 possible. In their away matches there is a tendency for few goals, since 45 of the last 71 matches have ended with Under 2,5 goals. In 11 matches for this competition, they have conceded the first goal 5 times and have never been able to turn the score around. In the last 20 away matches for all competitions there is 1 period that stands out: they have conceded 7 of their 19 goals between minutes (31'‑45'). 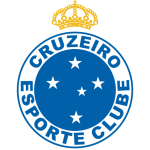 Cruzeiro is a multi-champion team, four times Brazilian Serie A champion, thirty-seven times champion of Minas Gerais, has two Copa Libertadores titles and other titles. Currently in the 2018 season, the team was a champion in Minas Gerais and in the Brazilian Championship Series A is in sixth place and has performed many games with few goals, coach Mano Menezes has chosen a more defensive system and looking for victories with minimum scores. We believe that Cruzeiro will face Paraná Clube with a defense strategy and seek to ensure victory and the three points by a minimum score. Confirmed Lineup: Fábio, Dedé, Ezequiel, Léo, Marcelo Hermes, F. Mancuello, Robinho, Lucas Silva, L. Romero, Raniel, Rafael Sóbis. In this game between Paraná and Cruzeiro, we believe we will have a match with few goals, because Cruzeiro should go to Curitiba with a defensive strategy and seek to score goal in very specific and surgical attacks. We believe in a match with few goals, our bet will be in a match with less than 3.5 goals.